You are tired, edgy, and have bags under your eyes. You scan your monthly National Grid bill looking for language about ideal gas laws. After you have blood drawn for your annual physical, you call the doctor’s office to ask about your PSI levels. You know way too much about the vacation schedules of Gerry Callahan and Michael Felger. You get angry every time Chris Mortensen comes on ESPN. 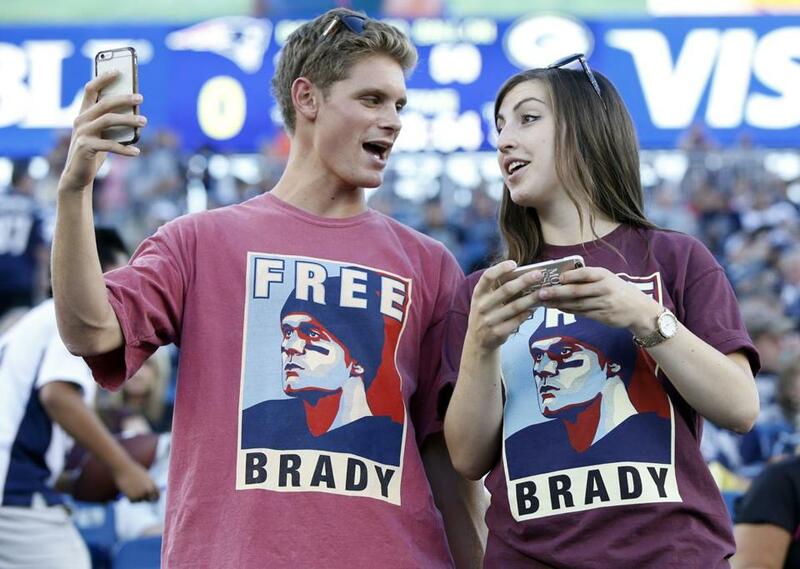 You sleep in a Free Brady T-shirt. But you don’t sleep much. 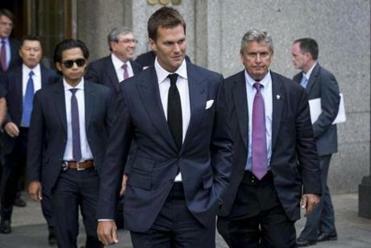 You have Deflategate Fatigue Syndrome, a.k.a. DFS. You go to Staples every other day for a new ink cartridge and another box of paper. There is always more to print. It started with the 243-page Wells Report, then you had The Wells Report in Context, then the thousands of pages of statements and reports, including the all-important AEI report. You had the 457-page transcript of the appeal hearing, copies of Tom Brady’s e-mails and texts, and the NFLPA’s latest firebomb, issued Friday. Your office is a blizzard of white sheets of paper. You are a Deflategate document hoarder. You also watch “My Cousin Vinny” every week, just to remind yourself that Bill Belichick is not the Mona Lisa Vito of football air pressure. It’s all part of DFS. Every couple of minutes, you check your Twitter feed for updates. You keep hoping for, BREAKING NEWS: BRADY SUSPENSION VACATED. Just more rhetoric. More people digging in, insisting their side is the right side. You keep a list. When all this is over, there will be hell to pay for those who came down on the wrong side of history. There will be no forgiving and no forgetting the trolls and Patriot haters. You have a million bleep-you e-mails to fire off as soon as Tom’s name is cleared. Goodell. Wells. Vincent. Pash. Anderson. Nash. Irsay. Harbaugh. Grigson. Sullivan. Pagano. Kravitz. Polian. Montana. Brunell. Kelly. Massarotti. Tomase. Jones. Hubbuch, Tanguay. Volin. Shaughnessy. They are all dead to you. You’re no fun at parties anymore. All you want to talk about is Deflategate. You watch TV and comb the Internet looking for clues and any signs of where this is going. Is NBC using Brady’s image to promote the season opener at Gillette in September? What about the wiseguys in Vegas? Do they know anything? Any change in the Patriots’ odds to return to the Super Bowl? You are obsessed with the shoddy work of courtroom artist Jane Rosenberg. How could she have submitted a sketch that made Tom look like a serial killer? She must be a hater. You fired off some nasty e-mails to Rosenberg. She was shocked. She has drawn sketches of Bill Cosby and John Gotti, but she has never inspired the vitriol she got from you. You keep playing the audio of Jonathan Kraft’s pregame interview with The Sports Hub from Thursday. Kraft the younger, the neon god of all those with DFS, said, “Anything that Tom Brady feels is best for him is fine with us.’’ What was that supposed to mean? Is Angry Jon teeing you up for another Patriots rollover here? A (gulp) settlement? No bloody way. Tom gets ZERO games or the Patriots secede from the NFL and form their own league. It’s been done before. The original Boston Patriots were part of a renegade startup. Donald Trump owned a team in an upstart football league and look where he is today. Tuesday marks seven months since the AFC Championship game. Still, we don’t know Tom Brady’s fate. What is wrong with this man? Tour de France? Seriously? Wrong. Wrong Wrong. If we may paraphrase the immortal words of Vince Lombardi (did you know the Patriots just won their fourth Lombardi trophy? ), Deflategate isn’t the most important thing . . . it’s the only thing.